For Friday Fictioneers, writers respond to a prompt with 100 words or less. Thank you to Rochelle for providing the following photo prompt. Gerald watched his glass bottles sparkle. He sat by the window when the sun just began to think about setting. Warmth bathed over him. 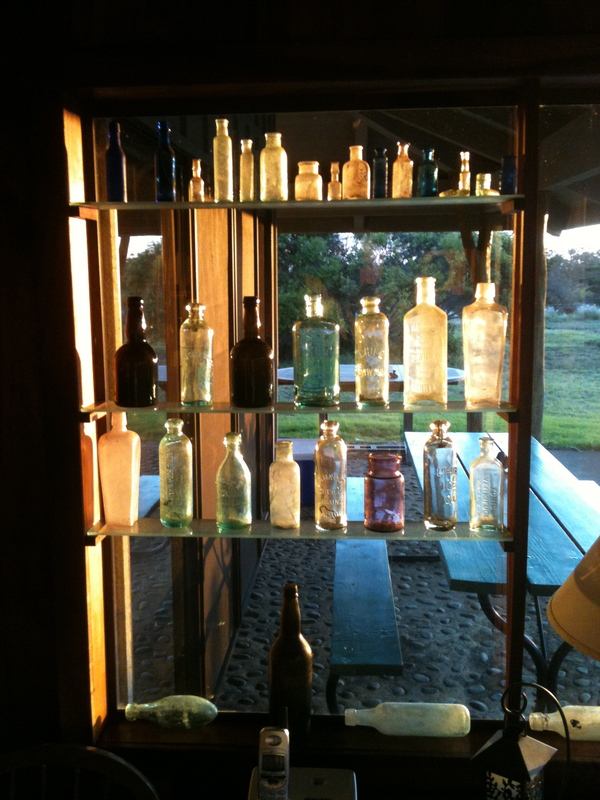 Sunlight glinted off the bottles, setting them ablaze in vibrant colours. Adoration for those little soldiers filled his heart. They were lined up in the order they had been used. Just a few drops of venom, and the sweet contents of each beautiful bottle had been tainted. But ultimately, it was no tragedy. Those bottles had delivered justice. As the sun dipped below the horizon, Gerald idly wondered if the liquor store was still open. Thank you for reading! Click here to learn more about Friday Fictioneers, and here to read more writing for this week’s prompt. So intriguing – loved it. Oh, I like this take on the prompt. Really makes you wonder about each bottle, and the story behind it. Clever!